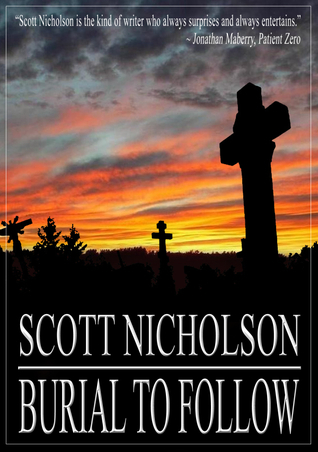 Scott Nicholson often writes about the strange burgs and creepy backwaters found along the Appalachian Trail, and Burial to Follow is no exception. I'll admit, I didn't understand everything that was going on in this novella - something about helping recently departed souls cross over by eating memorial pies - but Nicholson's ability to create a genuine Southern Gothic atmosphere tinged with dread keep you engaged until the final page. Sign into Goodreads to see if any of your friends have read Burial to Follow.